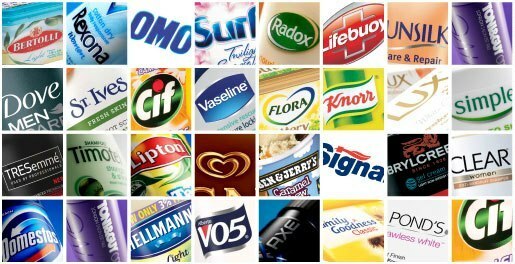 Unilever, the global consumer-goods giant behind well-known brands such as Lipton tea and Dove soap, has formed a strategic partnership with Alibaba Group that calls for the companies to work together on a range of e-commerce initiatives to boost Unilever’s profile and sales in China. The exclusive partnership, announced today, is seen as a significant milestone in a relationship that began in 2011 when Unilever, which owns more than 400 brands in food, personal care and other fast-moving consumer goods categories, opened a virtual store on Alibaba’s Tmall.com online shopping website. The new agreement aims to help Unileverreach more customers in China “with unprecedented precision and effectiveness,“ the companies said in a press release, with an emphasis on gaining exposure to consumers in the country’s less-developed regions, where spending power is rising. Unilever hopes to tap into demand among rural consumers for high-quality everyday products that currently can only be met quickly and effectively by selling through the Internet. Alibaba’s e-commerce ecosystem includes China’s dominant online retail marketplaces Tmall and Taobao Marketplace as well as logistics and online payment solutions, cloud computing, and a marketing technology platform, Alimama, that gives retailers the ability to analyze vast amounts of consumer data to optimize China branding and merchandising. Unilever President of North Asia Marijn Van Tiggelen said in statement that Alibaba "is the leading Internet company in China, with the most innovative thinking. It’s not only an online store, but also a solution platform for online payment, e-finance, and e-commerce logistics. Online shopping accounted for 10.7% of total retail sales in China in 2014, according to data from China’s National Bureau of Statistics. With e-commerce in the PRC growing faster than the overall retail market, major brands are seeking ways to boost growth by selling fast-moving consumer goods directly to consumers online. · Expand Unilever’s distribution channels with an emphasis on giving rural consumers more convenient access to Unilever products. Alibaba Group last year began a RMB 10 billion ($1.6 billion) program to build 1,000 county-level Taobao Rural Service Centers and 100,000 village-level Taobao Rural Service Centers over the next three to five years to spread e-commerce to underdeveloped regions. Alibaba’s logistics affiliate, Cainiao, has been aggressively expanding its networks to reach throughout China, beyond major East Coast cities, with reliable parcel delivery. Alibaba’s cross-border system gives international retailers greater merchandising flexibility because shipments are made only on demand, reducing the need for sales forecasts and costly warehouse space in China. Pushing to expose Chinese consumers to more products from overseas, Alibaba Group last month said it will launch nearly a dozen country “pavilions” on Tmall Global. · Optimize Unilever’s digital advertising strategy through Alimama’s Big Data technologies, and reach more consumers by integrating online and offline marketing campaigns. · Combat counterfeiting and protect Unilever’s brands by stepping up the company’s participation in Alibaba’s Blue Stars program, in which each product is tagged with a unique QR code that allows the consumer to verify its authenticity and origin. To mark the beginning of the new partnership, Tmall on July 22-24 will hold a promotion featuring flash sales and 50 percent discounts on popular Unilever products.